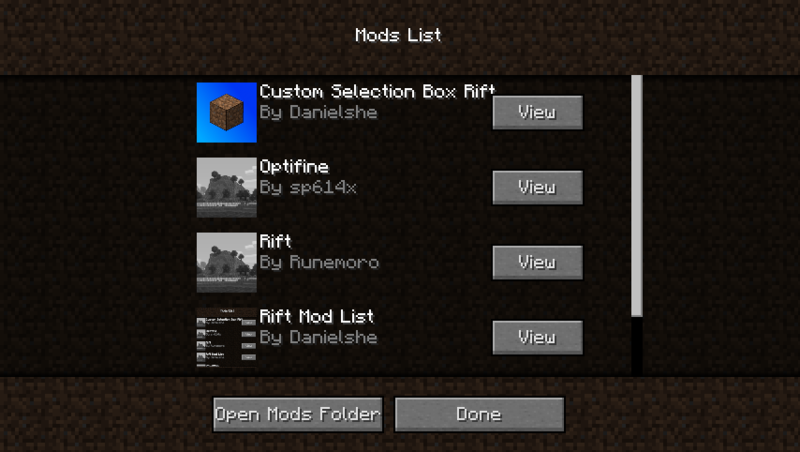 This mod adds a mod list to your client. 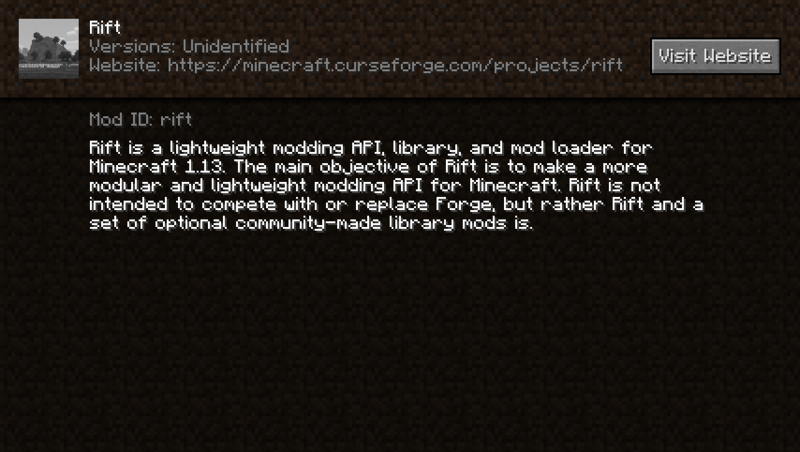 1.13.2's version requires Chocohead's Rift Fork. 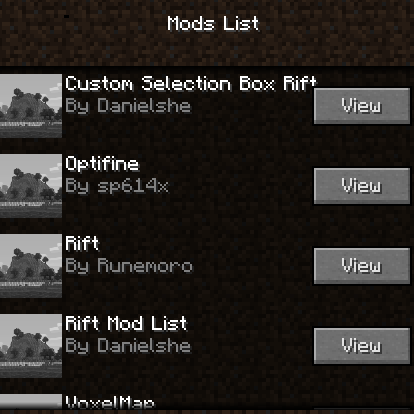 Open this screen by just clicking "Mods List" on the starting screen. Hey, a little heads up: when you go into the mod details, there is no back button. This forces you to exit out of Minecraft so you can get out of the screen. Please fix this soon. You can use the 'Escape' key (referring to Windows, not sure about Mac or Linux for keys/keyboards that use such keys) to exit that menu. I agree though it is still annoying though not having a back button in the menu/interface. (About OS, wasn't sure just wanted to state that just encase). The Escape Key isn't bad, it is a key that makes sense to use and has been the key I think to use 2nd to the Inventory closing/opening key 'E' by default of course, but many do think to use their same key they use to open their Inventory with I guess for closing (at least I see it that way for some since the player inventory doesn't have a close button in it besides a mod that adds one of course). I do think to use Escape with the few exceptions in mod menus that do though, that being minimap mods I think (don't remember), but I mostly only find it annoying for the lack of memorization I have doing it more so than anything. Added with 2.1, this update broke Custom Selection Box, so it must be updated. I see, good to know, will check it out.